With the amount of musical talent Montreal is churning out, it just might be that there’s a new Motown north of the border. The latest off the conveyor belt is a four-piece band hell-bent on instilling in us a reverence for the roots of rhythm and blues. The Ria Reece Band doesn’t do half-baked and there is a richness in their instruments and in Ria’s gravy-sweet vocals that will appease the staunchest of soul purists. 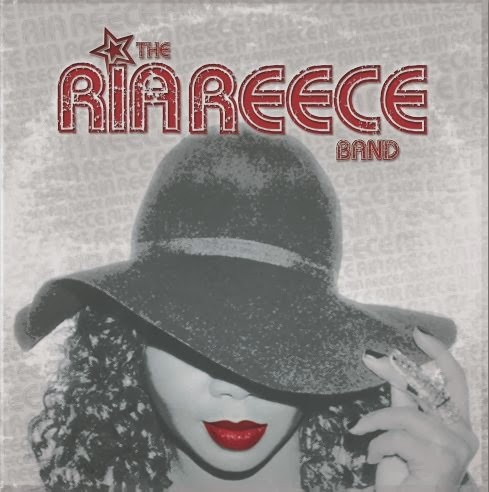 Their mastery of the intricacies of the raw, passionate melodies of the sixties and seventies belies the fact that The Ria Reece Band was born just about two years ago. 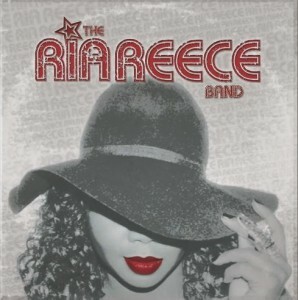 The seeds of the band were planted in early 2011 when Toronto native Ria Reece decided to become a professional singer. 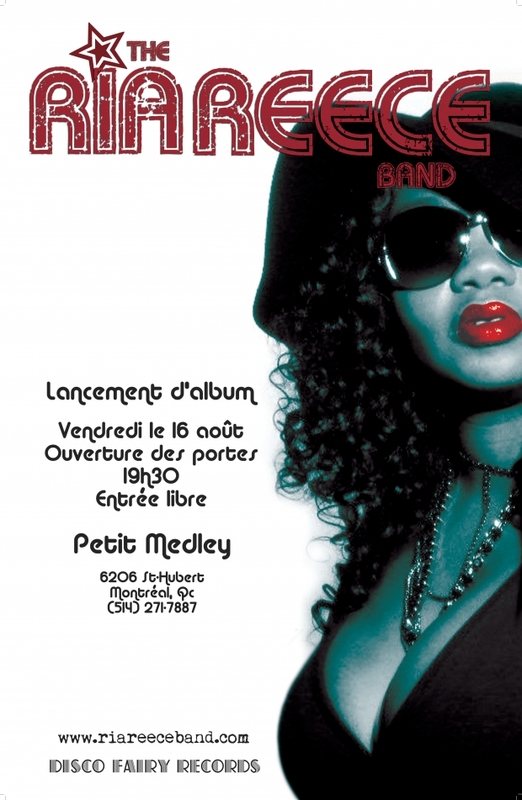 By September that year she had got together with guitarist Andre Chevarie, drummer Martin Laporte as well as bassist Sylvain Lamothe and hit on a vision of a modern day version of Swing Out Sister. Only they would be reaching far past the 80s Brit band for inspiration, embracing the forlorn, emotive and racy MO of Otis Redding and Sam Cooke. And their distinctive retro style has won The Ria Reece Band the attention of music lovers all over Montreal and the rest of Canada. They had revelers spellbound at the Quebec Summer Festival this year with their energy and astounding stage-presence while college/community radio stations can’t get enough of the band’s debut album. The self-titled project has charted impressively on various radio shows, garnering top-ten rankings consistently and has critics in Canada’s underground blues scene hailing them the best female-fronted group yet. And as you sway, bop or snap through the ten gems that make up The Ria Reece Band debut you won’t help but add to the voices lauding this soulful quartet. 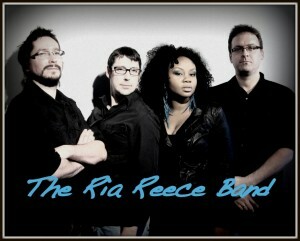 For a two-year old group, The Ria Reece Band is punching way above its weight, showcasing a sensitivity to detail and deftness of execution that will be the envy of more established acts. You don’t have to be a hippie to fall in love with such a flawless, heartfelt production. Released August 2013, it is available on iTunes. Listen to previews of the songs below!